70 m², 2 rooms (one with a double bed, one with two single beds that can be pushed together), big kitchen and living room with a sofa bed, centralized heating, shower, satellite TV, garden, small terrace, private parking. At present the apartment is still available for various periods of the winter season. The weekly rent goes from 300 to 600 €, depending on the date, all costs included, except bed linen. 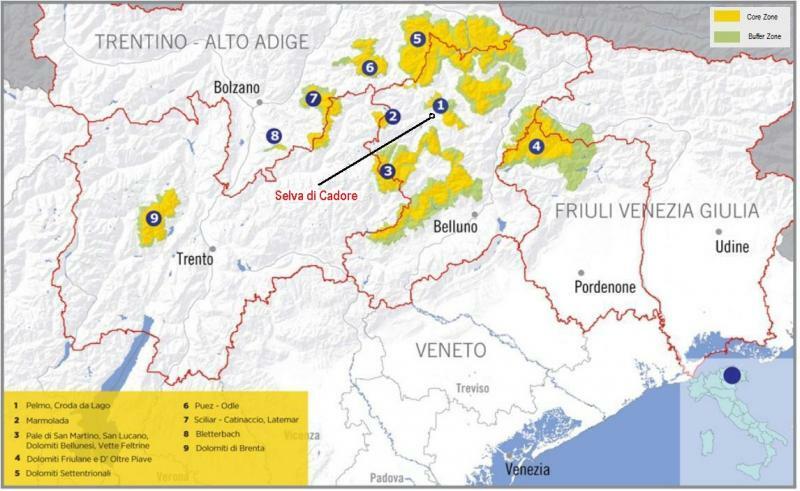 Located in Selva di Cadore (Province Belluno, Fiorentina-Valley). 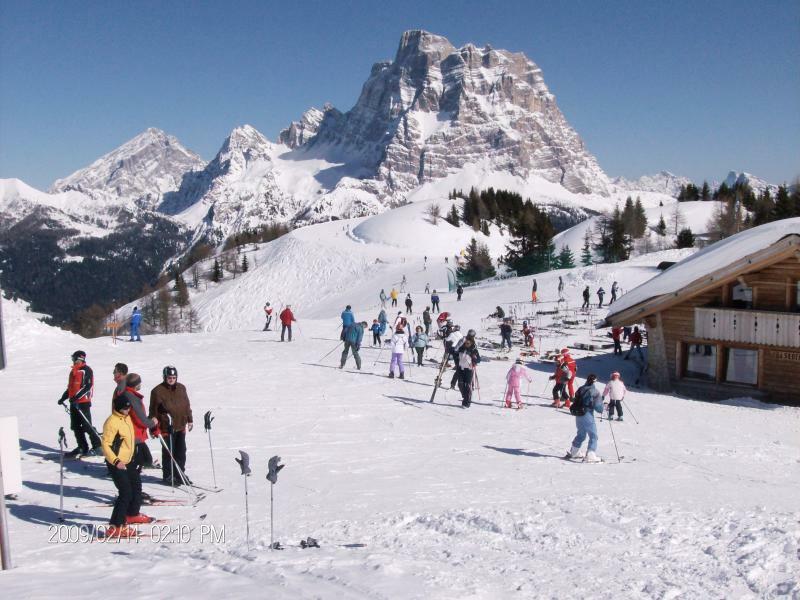 At a distance of 100/150 m: supermarket, pharmacy, restaurant/pizzeria, ice-cream-shop, bank, tourist office, bus-stop of the ski bus to Pescul (3 km – Northern access to the CIVETTA-skiing area) and to the Giau-Pass / Cortina – historic skiing tour (1st World War) – DOLOMITI SUPERSKI. Very close there is also an interesting museum, featuring the 7.500 year old find of the “Man of Mondeval”. In S.Fosca (2 km away – hotel area) there are various spare time - offers: swimming-pool, tennis, volleyball, basketball, soccer, bowls, ice-skating, training-wall for climbing, playground. 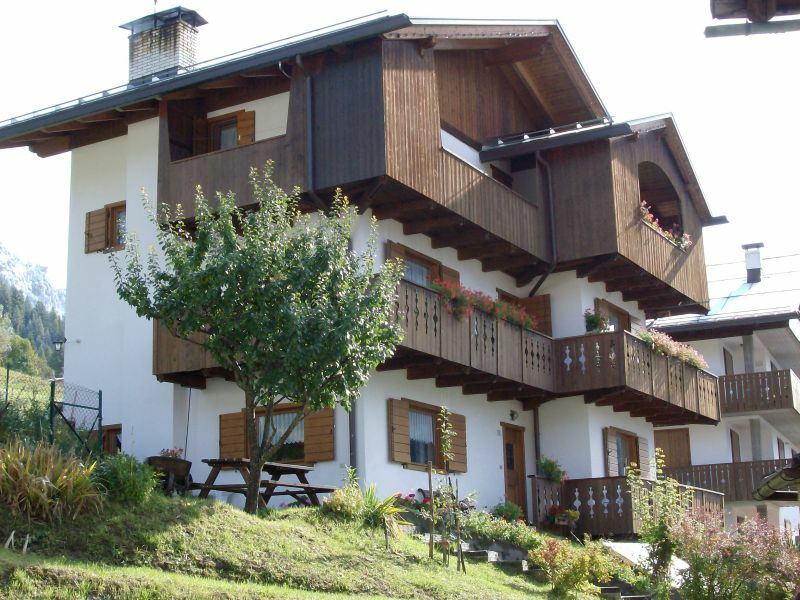 The sunny Fiorentina-Valley is located in the very heart of the Dolomites, between the mountains Pelmo, Civetta and Marmolada, at an altitude of 1300 / 1500 m.
House very well maintained and as described. The owners, Marisa and Ermenegildo, were absolutely fantastic. It is hard to leave and there is a desire to go back. Casa molto ben tenuta e come da descrizione. I proprietari, Marisa ed Ermenegildo, assolutamente fantastici. Si fatica ad andarsene e rimane la voglia di tornare. Thank you, Madam Anna, these favorable comments are very useful, although we do not ask for them. Grazie signora Anna, questi commenti favorevoli sono molto utili, anche se noi non li richiediamo. Large and functional apartment. Very nice view on the village and the mountain. Pleasant exteriors. The owners are very welcoming and available to guide and guide the stay. Very central location for a visit to the Dolomites. Appartement vaste et fonctionnel. Très jolie vue sur le village et la montagne. Extérieurs agréables. Les propriétaires sont très accueillants et disponibles pour guider et orienter le séjour. Situation très centrale pour une visite des Dolomites. Thanks for the comment. It was a pleasure to welcome your lovely family and we're glad you could spend the time with the discreet time. Ringraziamo per il commento. E' stato un piacere accogliere la vostra bella famiglia e siamo contenti che avete potuto trascorrere il periodo col tempo discreto. Parfaitement situé dans une des plus belles vallées des Dolomites, ensoleillé, roomy, très propre et bien équipé, cet appartement est parfait. Les propriétaires sont très accueillants. Commerces à deux pas. En automne, il n'y a plus de touristes! Mais les paysages sont sous sumptuous soleil. Parfaitement situé dans une des plus belles vallées des Dolomites , ensoleillé , spacieux , très propre et bien équipé , cet appartement est parfait . Les propriétaires sont très accueillants . Commerces à deux pas . En automne , il n'y a plus de touristes ! Mais les paysages sont somptueux sous soleil . I am sorry to have arrived late from Milan to greet you, I was tired. I hope you had a pleasant journey, and I wish Happy Christmas and Happy 2016.
mi dispiace di essere arrivato tardi da Milano per salutarvi, ero stanco. Spero che abbiate fatto buon viaggio, ed auguro Buone feste natalizie e Buon 2016. Nice location and beautiful home. Bella posizione e bella casa. We note late His favorable comment, thanks. Rileviamo in ritardo il Suo commento favorevole, grazie. Very nice apartment, well arranged, with quiet sight; very welcoming owners. Kindness from them. Très joli appartement, bien agencé, avec vue calme; très bon accueil des propriétaires. Grande gentillesse de leur part. Dear Nicole, thank you for your kind comments, we received a postcard. Thanks again. Sincerely, Marisa and Gildo. Cara Nicole, ringraziamo per il gentile commento, abbiamo ricevuto la cartolina. Grazie ancora. Cordiali saluti, Marisa e Gildo. 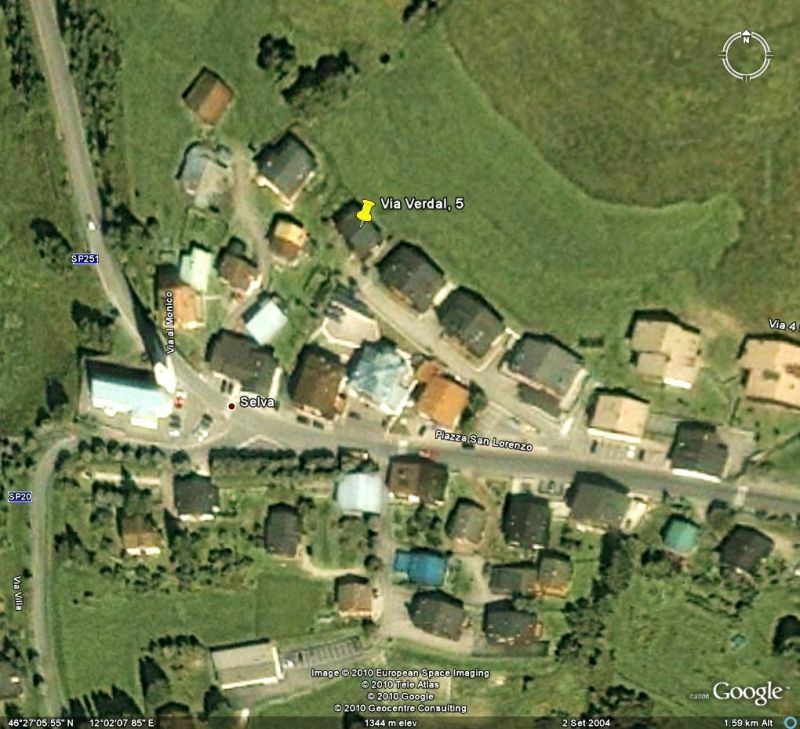 House very nice and clean and equipped with all great location x hiking the owners very friendly and helpful. 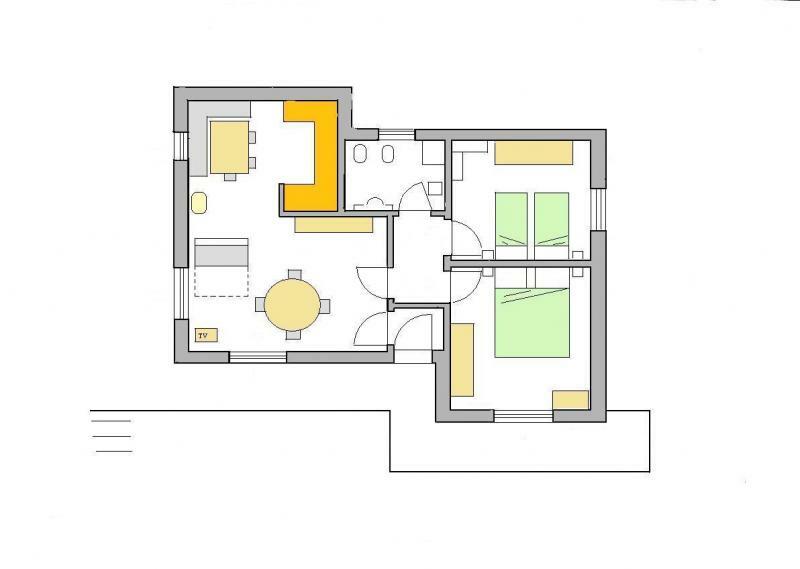 Casa molto bella e pulita accessoriata di tutto posizione ottima x escursioni i proprietari molto gentili e disponibili. Very clean and nice apartment close to all amenities, grocery store, pharmacy, post office, etc.. Owners very helpful and friendly ideal for family, away from the main road to go back for sure. Well-stocked kitchen of Mrs. Marisa! Thanks for the nice holiday. Molto pulito e carino l'appartamento vicino a tutti i servizi: alimentari, farmacia, posta, ecc. I proprietari molto disponibili e cordiali ideale per famiglia, distante dalla strada principale, da tornarci sicuramente. Ben fornita la cucina della signora Marisa!!! Grazie per le belle vacanze. The apartment was very spacious, clean and very well equipped. 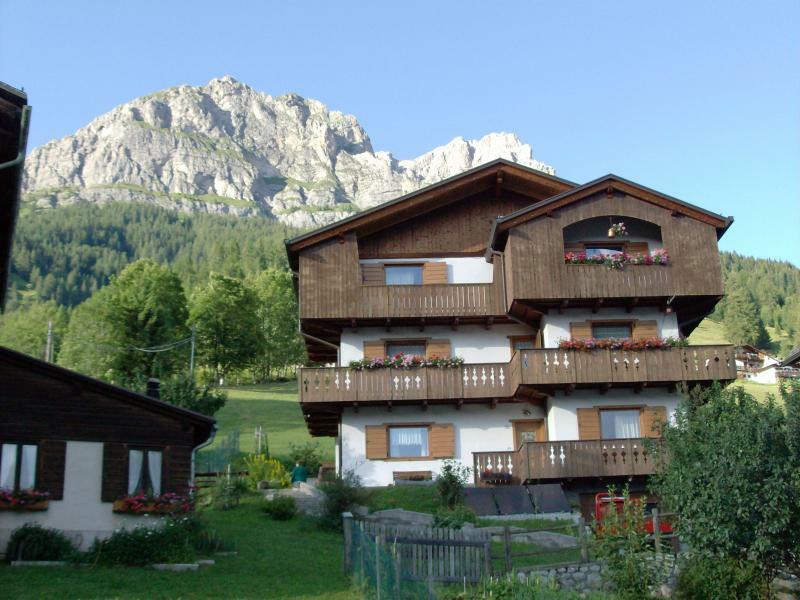 The small village of Selva di Cadori is in an excellent location in the Dolomites, perfect for trips to the mountains. A market, a great pizzeria and the post office are just in 2 minutes. The hosts were very friendly and attentive. We love coming back. Thank you! Das Apartment war sehr geräumig, sauber und sehr gut ausgestattet. Die kleine Ortschaft Selva di Cadori liegt in einer ausgezeichneten Lage in den Dolomiten, perfekt für Ausflüge in die Berge. Ein Markt, eine hervorragende Pizzeria und die Post sind in 2 Gehminuten zu erreichen. Die Gastgeber waren sehr freundlich und aufmerksam. Wir kommen sehr gerne wieder. Vielen Dank! The house was as described in the ad, for us was perfect. The stove in the house was the romance of my wife and has never failed to work. The owners Ermenegildo Dear Marisa and two people who truly worth knowing. Very kind and friendly. The place is lovely, the owners an exceptional combination to try. Thanks for everything. 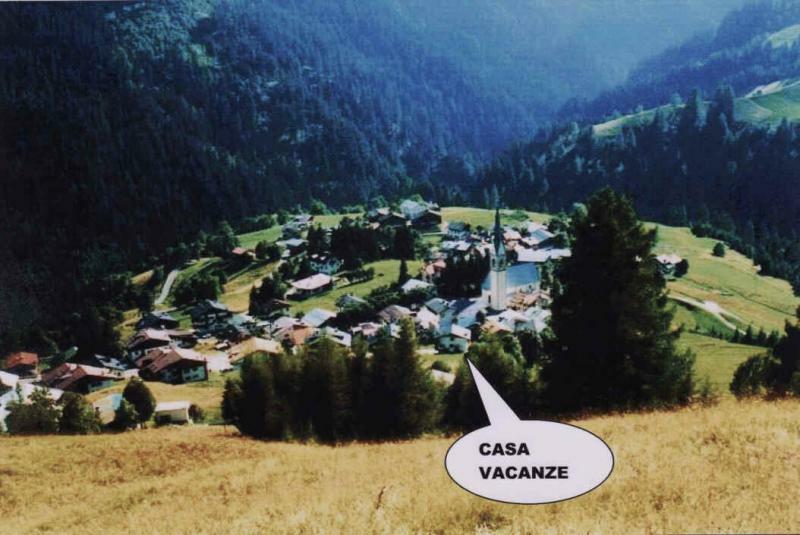 La casa era come descritta nell'annuncio, per noi è risultato tutto perfetto. La stufa in casa era l'idillio di mia moglie e non ha mai mancato di funzionare. I propietari Signori Ermenegildo e Marisa due persone che vale veramente la pena di conoscere. Gentilissimi e cordiali. Il posto è incantevole, i propietari eccezionali un binomio da provare. Grazie di tutto. We had a very pleasant stay in this location: the apartment is spacious, practical, quiet, and lovely owners! Very good place to visit and enjoy the beautiful walks offered by Dolomites! Nous avons passé un très agréable séjour dans cette location: l'appartement est spacieux, fonctionnel, calme, et les propriétaires sont adorables! Très bon endroit pour rayonner et profiter des belles randonnées qu'offrent les Dolomites! A very nice, clean apartment in a superb location. Very friendly owners. House very well equipped and in a fantastic location. Wonderful hosts, welcoming, friendly and attentive to our every possible need. Casa molto ben attrezzata e in posizione stupenda. Padroni di casa meravigliosi e accoglienti, gentili e attenti ad ogni nostra possibile necessità. The apartment was very nice, spacious and clean. Only downside equipment level kitchen. Very positive point: the welcome and friendliness of the owners. Even if you do not speak Italian, you get very good exchange with them. L'appartement était très bien, spacieux et propre. Seul petit bémol l'équipement au niveau cuisine. Bien situé pour la randonnée, possibilité d'aller à Venise... Nombreuses documentations dans l'appartement : cartes, livres... Point très positif : l'accueil et la gentillesse des propriétaires. Même si on ne parle pas l'italien, on arrive très bien à échanger avec eux. Superb location in the Dolomites. Perfect for mountain tours. Apartment very clean. Owner attentive and interested tenants. He showed us the morning weather on our door! Competitive price. 2 minutes from the market and a great pizzeria in exquisite taste. Superbe endroit dans les Dolomites. Parfait pour les excursions en montagnes. Appartement très propre. Propriétaire attentionné et intéressé par ses locataires. Il nous affichait le matin la météo sur notre porte !!! Prix compétitif. À 2 minutes du marché et d'une superbe pizzeria au goût exquis. A recommander sans discernement. All costs included, except bed linen.